Montisi is an ancient Borgo or fortified village, with a long history. 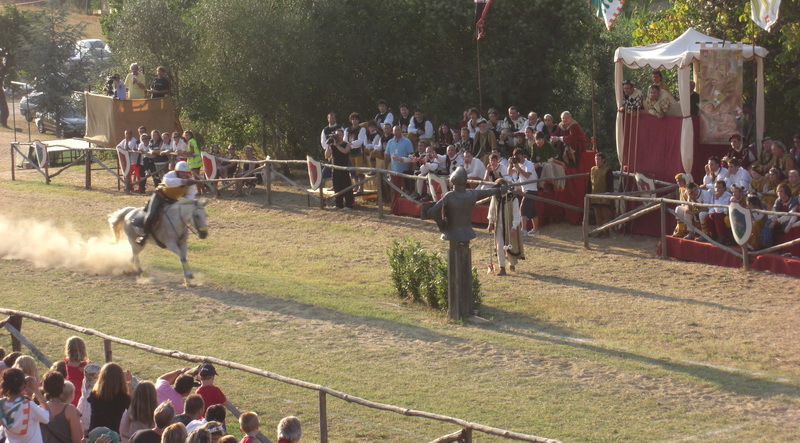 Every year on the Sunday nearest to the 5th of August there is a jousting competition between the four contradas or neighbourhoods of the village. It is the the feast day of the Madonna della Nevi,the patron saint of Montisi and the jousting competition is held to commemorate events in the history of the village. 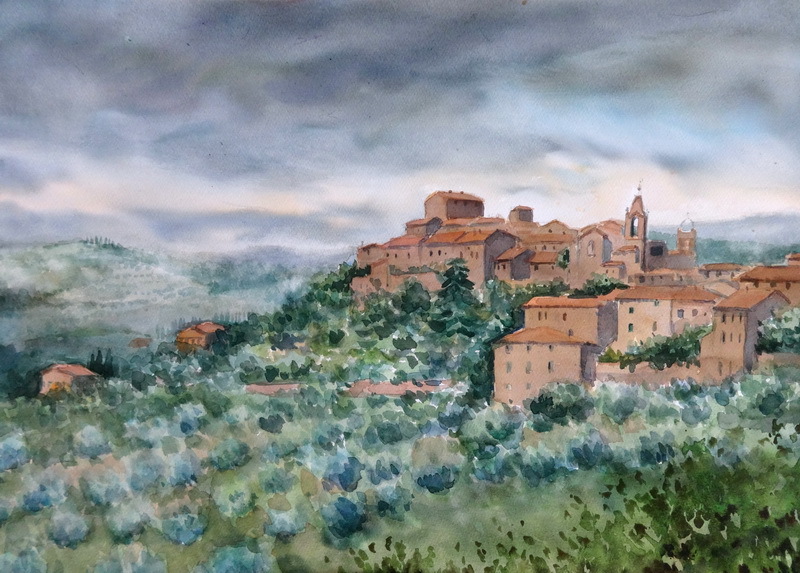 Towards the end of the 13th Century an unpopular feudal overlord of the area, Simone di Cacciaconti, was driven away from his land by the villagers. He returned with soldiers to attack the locals and burned Montisi to the ground. He then, realising that he could not rule over Montisi with the continued opposition from the inhabitants, withdrew his army back to Siena. On his death a few years later he left his land to the religious order of the Santa Maria della Scala in Siena. The earliest recorded evidence of the Giostra is documented in Accounts books in the Chiesa of the Madonna della Torricella dating back to the beginning of the 18th Century. It was then held in the village and continued with some breaks until the second world war. In 1972 it was re-established, as a way of bringing some life back to Montisi, which by then was in steep decline as the population moved away from the countryside to the cities.